I’d never heard of The Giving Keys until my good friend Yuki came over with a gift for me a few weeks ago. My always sweet, stylish and thoughtful book club friend arrived at my door with a smile and a key stamped with the word “Believe”. Through mutual tears she explained that she knew I was having a hard time with the loss of my Mom and that this key was to help me through it. To help me believe that there are some things in life that can’t be changed. I was so touched by this beautiful necklace and the gesture it symbolized. It reassured me that I had the love and support I needed from people close to me. 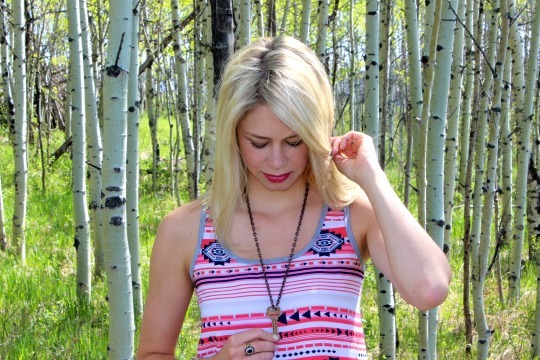 Not only is this necklace beautiful, it supports an amazing cause. 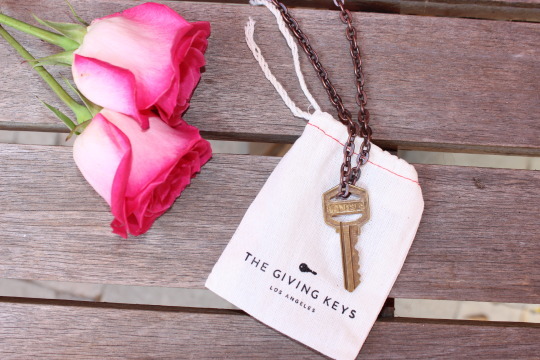 The Giving Keys is an organization based out of Los Angeles promoting the slogan “Pay it Forward.” They employ people who are trying to transition out of homelessness to hand stamp each key with different words: love, hope, faith, peace, fearless, dream and believe. Once your key has served whatever purpose you needed during a time in your life, you must pass it on to another who may need that strength. I have no plans to pass my key along anytime soon; I wear it regularly, especially on days when I need to feel a little extra support. Thank you again Yuki, for thinking of me and inspiring me on this journey. And a special thank you to my husband Trevor. He has been my rock these past couple months (and my photographer). I don’t know how I would have done this without him. Know someone who needs a Giving Key? Head here to find a list of retailers in your area (even Nordstrom carries them!) or shop online. Don’t forget to find me on Instagram.